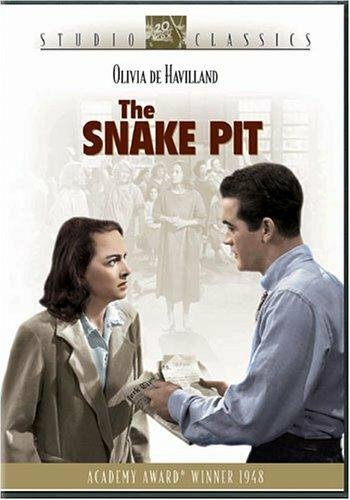 There were few films in 1948 that match up to the power of Anatole Litvak’s “The Snake Pit,” a film that was groundbreaking in its day. Mental Illness was not dealt with on screen, at least not at the level and detail seen here. The institutional living conditions these people were forced to live in was swept under the rug, as they say. 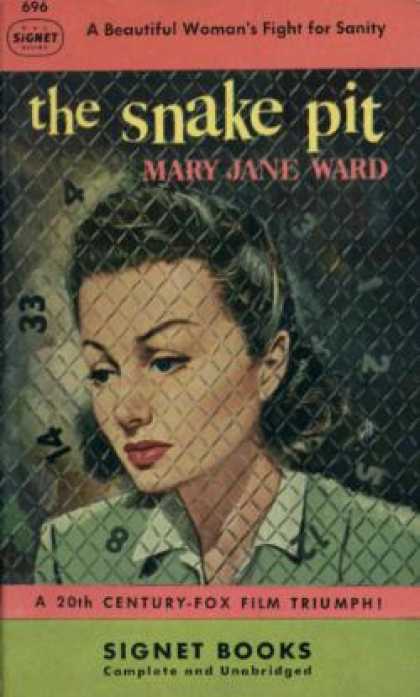 Mary Jane Ward’s novel was based on her own experiences as a patient in a psychiatric hospital. After reading Ward’s first person novel, director Anatole Litvak wanted to bring the harrowing story to the screen. Naturally, the subject matter was considered too controversial and downbeat for most studios. 20th Century Fox finally agreed to make the film, which Litvak would not only direct but co-produced. Olivia de Havilland was not the first choice for the role, that spot went to Gene Tierney who had to bow out due to a pregnancy. de Havilland threw herself into the role, spending time researching, personally watching shock therapy treatments and visiting institutions, talking with doctors, nurses and patients. She apparently also was able to spend time in doctor/patient therapy sessions. 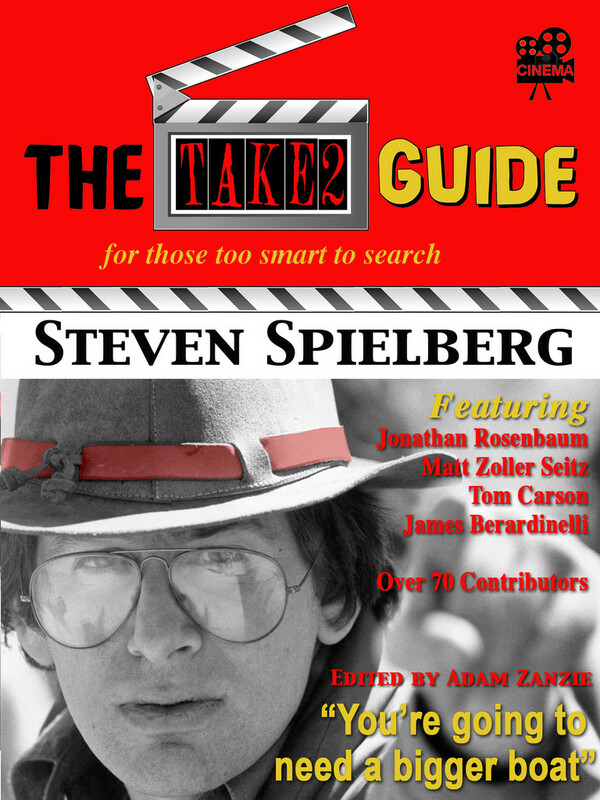 Director Litvak wanted the actors and crew members to visit mental institutions in order to experience first hand what it was like. The film tells the story of Virginia Cunningham, a young married woman who has a nervous breakdown and is committed to a mental hospital. We follow her as she slowly finds her way back from depths of insanity. At her lowest point, Virginia is incapable of remembering who she is, where she is or why. She is subjected to electro-shock therapy and other treatments, forced to live in a dorm like environment with other patients. Eventually with the help of a caring doctor (Leo Glenn) Virginia begins to explore her subconscious delving back to her childhood, (through flashbacks), the strict upbringing by her mother and the loss of a considerate father. Here she discovers the roots of her illness, the pain and guilt she has been carrying inside, and ultimately she is cured. The conditions inside the institution are horrid. The nursing staff headed by Nurse Davis (Helen Craig) an obvious relative to Nurse Ratched who seems to derive pleasure, in one of the film’s most shocking scenes, when she turns on the juice over and over again during the administration of Virginia’s Electro-Shock sessions. 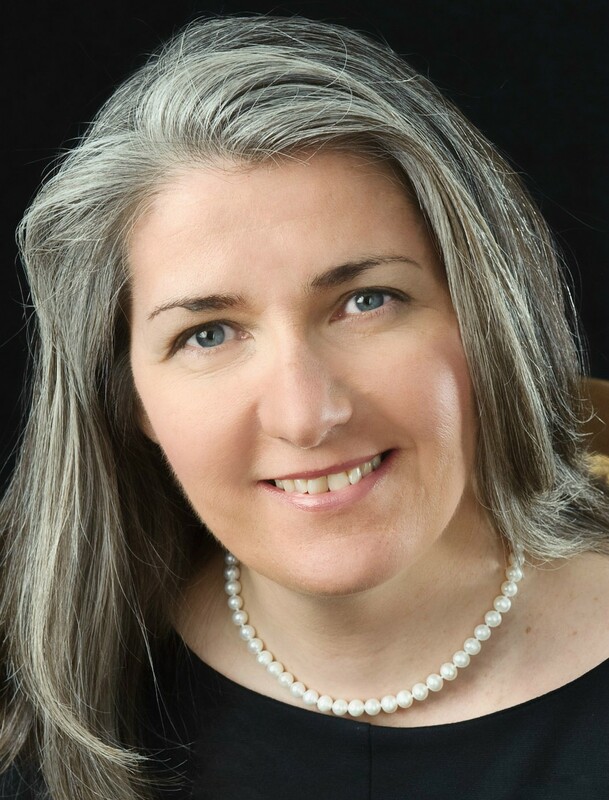 While Virginia’s illness is portrayed realistically, her cure is a little too straightforward though one must remember the medical treatments are limited to knowledge and practices of more than 60 years ago. The film also gives us a strong flavor of other patients in the wards. There is Marty (Betsy Blair) who does not like to be touched and will strangle anyone who comes near her. Celeste Holms is Grace, seen early in the film who tries to comfort Virginia soon after her arrival and a host of others portrayed by some fine character actors among them Beulah Bondi, Ruth Donnelly, Minna Goombell and Katherine Locke. There is one particularly visually stunning sequence when, after Virginia has a “relapse,” she is put into a pit like area with other patients. The theory as it is explained is that putting normal people into this pit like area would drive them insane, subsequently, putting insane people into the pit would cure them. As this sequence is filmed, Litvak’s camera is shooting down from extremely high above toward the pit, continuously pulling back revealing a long deep pit with the patients walking aimlessly around. Other films have dealt with mental disease over the years, (The Bell Jar, Frances) but this film still remains a harrowing experience. After its release, the film led to reforms in mental institutions in various states across the country. In England a disclaimer was added at the beginning of the film stating that everyone appearing in the film was an actor and that similar institutions in England were not like the one portrayed in the film. In the 1960’s there was a backlash against this film by feminist who claimed that Virginia only improved once she accepted that her role in life was subservient, first to the nurses and then as she prepares to accept a life of that of a mother and a housewife. A closer look at the film reveals that throughout the film, Virginia fights the authorities the best she could under the stringent circumstance and as a writer never reveals any sign that, she is giving up her career upon her release. The film received multiple Academy Award nominations that year including Best Actress, Best Director, Best Screenplay and Music Score. The film won an Oscars for Best Sound Recording. 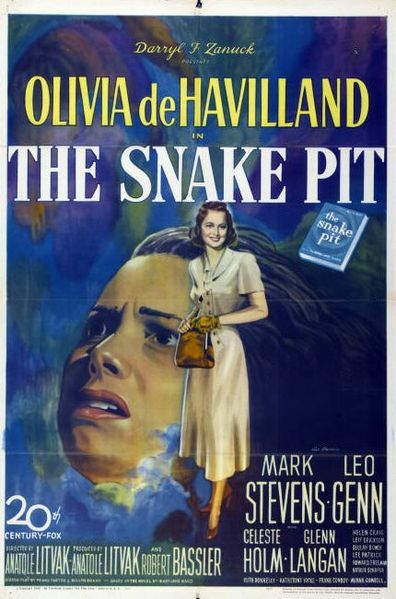 This entry was posted in 1940's, Anatole Litvak, Film Reviews and tagged Anatole Litvak, Beulah Bondi, Celeste Holms, Leo Glenn, Mark Stevens, Olivia de Havilland, Ruth Donnelly, The Snake Pit. This sounds like a ground-breaking film, John – I’ve seen a few movies which touch on mental illness, for instance Hitchcock’s Spellbound, but not really looking at institutions like this one does. I like both Litvak and de Havilland so it is yet another one to look out for! I think you will like this one Judy, de Havilland is excellent in this. Hope you get the chance to see it. Ah John I know this film quite well, and of course de Havilland’s celebrated performance. It could be convincingly argued that the film’s treatment here is dated, and I am not entirely smitten with the melodrama and generalizations, but there’s still no denying it’s considerable power. I always think of this when I ponder the socially conscious/psychological films of this period of which THE THREE FACES OF EVE with Joanne Woodward is the best in my view. But Mr. Litvak has done some great work, and this film is a formidable achievement even with some flaws. Another exceptional review here! Sam, “The Three Faces of Eve” is indeed a powerful work and Woodward was amazing. The film does have some dated aspects to it but it still holds your interest. Thank you, sir.